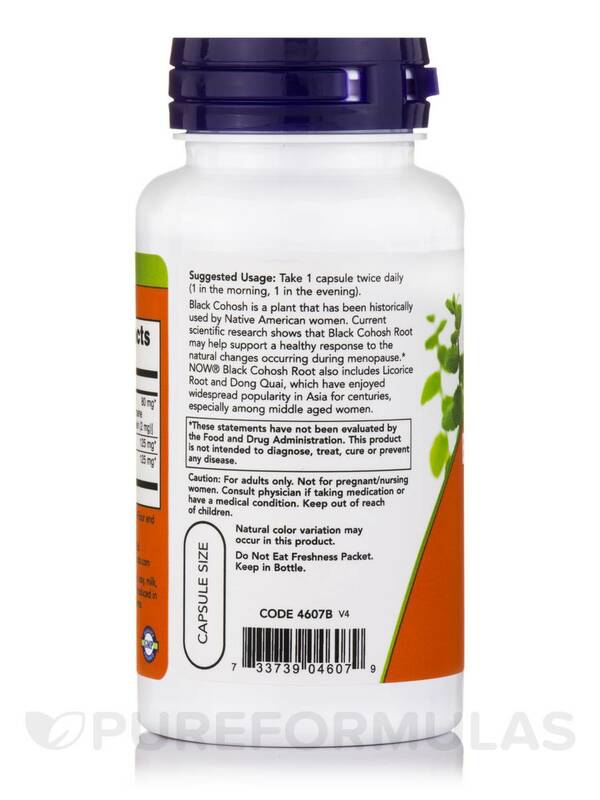 Black Cohosh is a Native American herb that has historically been used by middle-aged women to help support a number of female challenges. This potent extract is standardized to contain 2.5% total triterpene glycosides‚ the active measurable component in Black Cohosh. 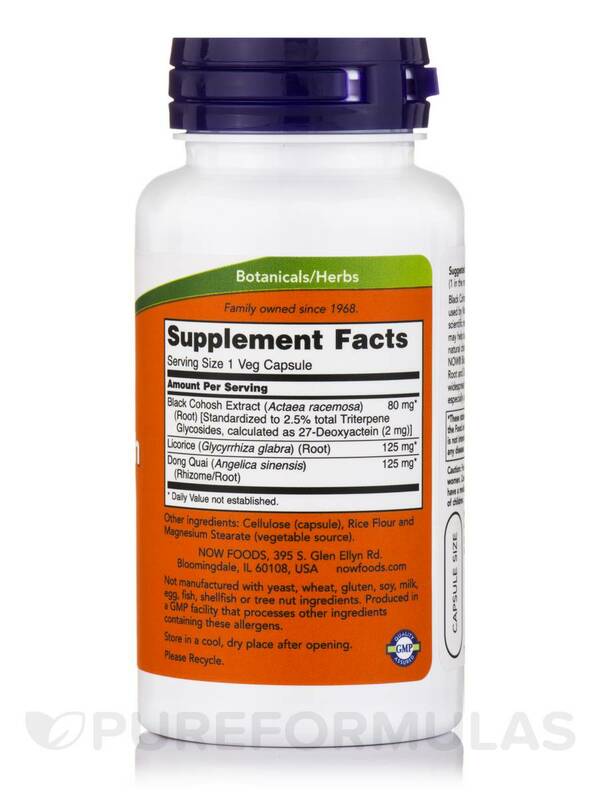 NOW® capsules contain twice as much Black Cohosh as the leading brands‚ however NOW® formula also includes Licorice Root and Dong Quai to increase its effectiveness in the female system. - With Licorice & Dong Quai. Take 1 capsule twice daily (1 in the morning‚ 1 in the evening). Not for pregnant/nursing woman. Consult physician if taking medication or have a medical condition. Notice: Natural color variation may occur in these product. 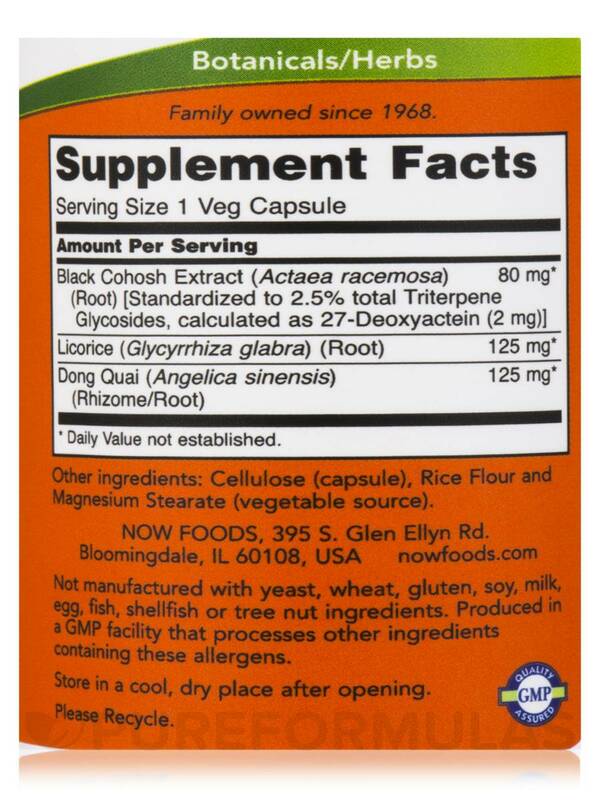 I've just started taking NOW Black Cohosh Root but am pleased with it so far! I am 49 and in perimenopause--taking it, not so much for hot flashes, but for mood swings and brain fog. It seems to really take the edge off, clears my mind ,and helps me function during this difficult time! 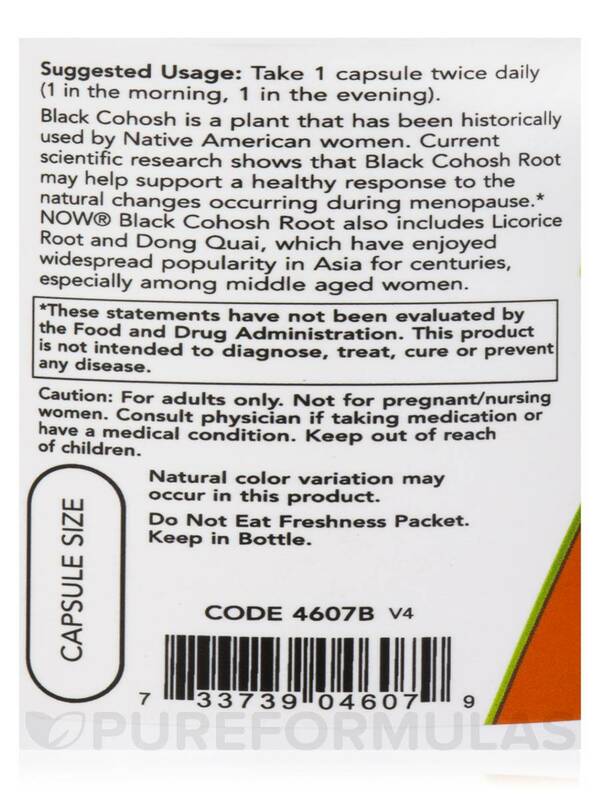 I buy Black Cohosh Root 80 mg by NOW for my mom. She won't be without it. She says it works amazing for hot flashes! 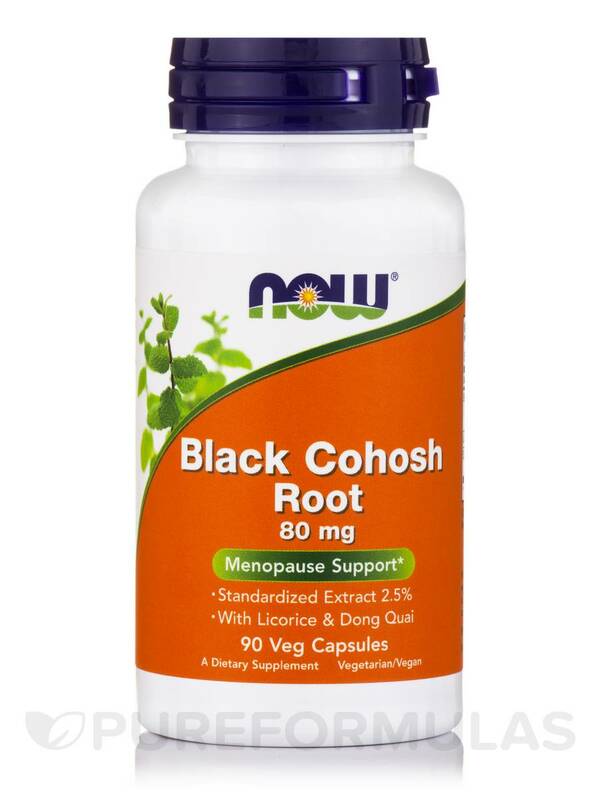 The jury is still out on whether Black Cohosh Root by NOW alleviates any of the menopause discomforts. I think it does help minimize the menopausal hot flashes. I was hoping for more relief from taking this product. I might have to increase my dosage. Bought this to counter the hot flashes my wife has started to experience since she stopped taking Premarin on the advice from her doctor.She tells me the 5-6 a day she was having has slowed to 3 a day now. She has taken 2 per day one in the morning and one at bed time as directed on the container. She will continue with another order since her 45 day supply has 8 days left .We both feel that they are helping and that after another 45 day dosing the hot flashes will slow down further. Good value.no stomach reactions or bowel reactions.